The Muslim Brotherhood’s presence in the Palestinian territories dates back to the 1960s, when the group established a set of charities in the West Bank and Gaza Strip. From the 1960s to the 1980s, the Brotherhood continued to amass support within the Palestinian territories. In 1987, a group of Brotherhood activists established a formal Palestinian branch of the Brotherhood, Hamas.Jonathan Masters, “Hamas,” Council on Foreign Relations, November 27, 2012, http://www.cfr.org/israel/hamas/p8968. Hamas maintains that it operates independently of the Brotherhood,Selin Nasi, “The Muslim Brotherhood bears the cost of reset in Mideast,” Hurriyet Daily News, May 6, 2016, http://www.hurriyetdailynews.com/the-muslim-brotherhood-bears-the-cost-of-reset-in-mideast-.aspx?pageID=449&nID=98804&NewsCatID=570. publicly disavowing the Brotherhood in March 2016.Jack Khoury, “Hamas Denies Links With Muslim Brotherhood in Egypt and Elsewhere,” Haaretz, March 23, 2016, http://www.haaretz.com/middle-east-news/.premium-1.710423. Nevertheless, Hamas and the Brotherhood have cooperated in recent years, particularly during the Egyptian Brotherhood’s year in power. Further, Hamas continues to label itself in its charter as “one of the wings of the Moslem Brotherhood in Palestine.” According to the charter, the Brotherhood is “a universal organization…. The largest Islamic Movement in modern times.”“The Covenant of the Islamic Resistance Movement,” Avalon Project, Yale Law School, August 18, 1988, http://avalon.law.yale.edu/20th_century/hamas.asp. On May 1, 2017, Hamas convened a press conference in Qatar to unveil a new policy document, the first since the release of its organizational charter in 1988. However, the revised document does not replace the original 1988 charter, which remains in effect with its linkage to the Brotherhood.“New Hamas policy document ‘aims to soften image,’” BBC News, May 1, 2017, http://www.bbc.com/news/world-middle-east-39744551. Moreover, the new language has no bearing on Hamas’s commitment to violent “armed resistance” against Israel, and the “liberation” of all of Palestine “from the river to the sea.”“A Document of General Principles & Policies,” Hamas Media Office, accessed May 2, 2017, http://hamas.ps/ar/uploads/documents/06c77206ce934064ab5a901fa8bfef44.pdf. Hamas is responsible for hundreds of terrorist attacks against Israel, and is designated as a terrorist organization by the United States“Foreign Terrorist Organizations,” U.S. Department of State, May 8, 2009, http://www.state.gov/j/ct/rls/other/des/123085.htm. and the European Union,“EU Blacklists Hamas Political Wing,” BBC News, September 11, 2003, http://news.bbc.co.uk/2/hi/middle_east/3100518.stm. among other governments and organizations. In 2006, Hamas won Palestinian parliamentary elections in the West Bank and Gaza, to which the so-called quartet of Middle East peacemakers—the United States, European Union, United Nations, and Russia—responded by demanding that Hamas renounce violence, formally recognize the State of Israel, and abide by past agreements between Israel and the Palestine Liberation Organization in order to receive international recognition.“Quartet: Hamas Must Change Policy,” CNN, January 31, 2006, http://www.cnn.com/2006/WORLD/meast/01/30/hamas.funding/. Hamas has refused to comply and ousted its political opponent, Fatah, from Gaza the following year.Conal Urquart, Ian Black, and Mark Tran, “Hamas Takes Control of Gaza,” Guardian (London), June 15, 2007, http://www.theguardian.com/world/2007/jun/15/israel4. Hamas has since run the coastal enclave separately from the Fatah-led Palestinian Authority, which maintains control over the West Bank.Rasha Abou Jalal, “Why does Hamas, Fatah reconciliation keep failing?,” Al-Monitor, March 8, 2016, http://www.al-monitor.com/pulse/originals/2016/03/palestinian-hamas-fatah-reconciliation-doha.html. Hamas’s ties to the Muslim Brotherhood have strained its relations with Egypt’s government led by Abdel Fattah el-Sisi. Following the 2013 overthrow of Egypt’s Brotherhood government, Egypt has increasingly cracked down on Hamas. In late 2013, the Egyptian army closed most of the underground smuggling tunnels beneath the Gaza-Egypt border, resulting in the loss of millions of dollars in revenue.Associated Press, “Hamas in Worst Cash Crisis since Seizing Gaza,” Yahoo News, March 13, 2014, http://news.yahoo.com/hamas-worst-cash-crisis-since-seizing-gaza-181239758.html. In 2014, Egyptian courts labeled Hamas a terrorist organization, although the designation was later overturned.“Court in Egypt bans Palestinian group Hamas,” BBC News, March 4, 2014, http://www.bbc.com/news/world-middle-east-26432122; Joshua Berlinger and Ian Lee, “Egyptian court designates Hamas as a terror organization, state media says,” CNN, February 28, 2015, http://www.cnn.com/2015/02/28/middleeast/egypt-hamas-terror-designation/; “Egyptian court cancels Hamas listing as terrorist organization: sources,” Reuters, June 6, 2015, http://www.reuters.com/article/us-egypt-hamas-idUSKBN0OM0BZ20150606. In June 2015, Egypt’s chief prosecutor, Hisham Barakat, died in a car bombing in Cairo. The Egyptian government later accused Hamas of coordinating the assassination with the Muslim Brotherhood in Egypt.“Muslim Brotherhood conspired with Hamas to kill prosecutor, Egypt claims,” Guardian (London), March 6, 2016, http://www.theguardian.com/world/2016/mar/06/muslim-brotherhood-hamas-prosecutor-egypt-assassinated-hisham-barakat. As part of spring 2016 discussions to repair their relationship, Egypt demanded that Hamas renounce the Brotherhood ahead of any rapprochement.Adnan Abu Amer, “Hamas tones down Brotherhood links to improve Egypt ties,” Al-Monitor, May 13, 2014, http://www.al-monitor.com/pulse/originals/2014/05/gaza-egypt-hamas-brotherhood-elections.html#/. In March 2016, Hamas spokesman Sami Abu Zuhri denied any links between Hamas and the Muslim Brotherhood.Jack Khoury, “Hamas Denies Links With Muslim Brotherhood in Egypt and Elsewhere,” Haaretz, March 23, 2016, http://www.haaretz.com/middle-east-news/.premium-1.710423. Egypt also accuses Hamas of facilitating terrorism in the Sinai Peninsula.Yaakov Lappin, “Hamas delegation fails to improve relations, report says,” Jerusalem Post, March 16, 2016, http://www.jpost.com/Middle-East/Hamas-delegation-to-Egypt-fails-to-improve-relations-report-says-448115. Despite the accusation, Egypt and Hamas have reportedly agreed to cooperate to enhance security along the Gaza-Egypt border in a joint effort to weaken ISIS’s Egyptian affiliate there, Wilayat Sinai.Sudarsan Raghavan and William Booth, “Israel, Hamas and Egypt form unlikely alliance against Islamic State,” Washington Post, April 30, 2016, https://www.washingtonpost.com/world/middle_east/israel-hamas-and-egypt-form-unlikely-alliance-against-islamic-state-affiliate/2016/04/30/cacb99dc-fb79-11e5-813a-90ab563f0dde_story.html. In addition to ties with the Egyptian Brotherhood, Hamas also reportedly maintains a relationship with the Jordanian Brotherhood. Former Hamas leader Khaled Meshaal, for example, was believed to maintain a close relationship with Jordanian Brotherhood leader Hammam Saeed.“Hammam Said,” Berkley Center for Religion, Peace & World Affairs, accessed May 29, 2015, http://berkleycenter.georgetown.edu/people/hammam-said. Saeed has publicly supported Hamas’s violent activities, and criticized Palestinian Authority President Mahmoud Abbas for curtailing the Palestinian “armed struggle.”Bassem Eid, “Abbas under fire,” Jerusalem Post, December 10, 2014, http://www.jpost.com/Opinion/Abbas-under-fire-384268. Israel has accused the Jordanian Brotherhood of providing material support to Hamas.“‘Jordanian Muslim Brotherhood smuggling weapons to Palestinians,’” Times of Israel, December 8, 2014, http://www.timesofisrael.com/jordanian-mb-smuggling-weapons-to-palestinians/. In November 2014, Jordanian authorities arrested members of a suspected Brotherhood cell that was allegedly passing weapons and money to suspected terrorists in the West Bank.Jack Moore, “Israel: Muslim Brotherhood cell in Jordan 'smuggling weapons to West Bank Palestinians,’” International Business Times, December 8, 2014, http://www.ibtimes.co.uk/israel-muslim-brotherhood-cell-jordan-smuggling-weapons-west-bank-palestinians-1478561; Roi Kais, “Report: Muslim Brotherhood in Jordan smuggled weapons for attacks in West Bank,” YNet News, December 2, 2014, http://www.ynetnews.com/articles/0,7340,L-4598485,00.html. Hamas continues to remain in power in the Gaza Strip. Despite its claims to have severed ties with the Muslim Brotherhood, Hamas is deeply rooted in the Brotherhood and the groups remain ideologically linked. Hamas. Jonathan Masters, “Hamas,” Council on Foreign Relations, November 27, 2012 http://www.cfr.org/israel/hamas/p8968. Per its charter, Hamas is dedicated to the total destruction of Israel.“The Covenant of the Islamic Resistance Movement,” Avalon Project, Yale Law School, August 18, 1988, http://avalon.law.yale.edu/20th_century/hamas.asp. The group has engaged in multiple forms of violence against Israel, from suicide bombings to rocket attacks. Hamas dispatches its first suicide bomber to target Israeli civilians, 19-year-old Ra’id Zaqarna. Zaqarna drives up alongside the No. 348 bus in Afula, Israel, and detonates his explosives, killing eight people and wounding 44.Clyde Haberman, “Arab Car Bomber Kills 8 in Israel, 44 Are Wounded,” New York Times, April 7, 1994, http://www.nytimes.com/1994/04/07/world/arab-car-bomber-kills-8-in-israel-44-are-wounded.html. A series of Hamas suicide bombings in Israel kill more than 50 people. Palestinian Authority President Yasser Arafat condemns the bombings and the PA arrests 140 Hamas suspects.“Timeline: The Evolution of Hamas,” CNN, December 30, 2008, http://www.cnn.com/2008/WORLD/meast/12/30/hamas.profile/. Hamas is responsible for 39.9 percent of 151 suicide attacks during the second intifada.Efraim Benmelech and Claude Berrebbi, “Human Capital and the Productivity of Suicide Bombers,” Journal of Economic Perspectives 21, no. 3 (Summer 2007): 223–38, http://www.kellogg.northwestern.edu/faculty/benmelech/html/BenmelechPapers/Human_Capital_Suicide_Bombers.pdf. A group of Palestinian terrorists from multiple groups, including Hamas, cross the Gaza border into Israel using an underground tunnel and attack an Israeli military outpost, killing two soldiers and taking 19-year-old Corporal Gilad Shalit hostage. Hamas denies participation.Tim Butcher, “Soldier Kidnapped and Two Killed in Gaza Tunnel Attack,” Telegraph [U.K.], June 26, 2006, http://www.telegraph.co.uk/news/worldnews/middleeast/israel/1522370/Soldier-kidnapped-and-two-killed-in-Gaza-tunnel-attack.html; Steven Erlanger, “Tensions Rise After Israeli Is Kidnapped,” New York Times, June 26, 2006, http://www.nytimes.com/2006/06/26/world/middleeast/26cnd-mideast.html. In July, Israel launches Operation Summer Rain in response to Hamas’s cross-border attack. During the resulting war, Hamas hits Israel with hundreds of rockets.“The Hamas terror war against Israel,” Israel Ministry of Foreign Affairs, March 2011, http://www.mfa.gov.il/mfa/foreignpolicy/terrorism/palestinian/pages/missile%20fire%20from%20gaza%20on%20israeli%20civilian%20targets%20aug%202007.aspx. Hamas launches more than 3,000 Qassam rockets and 2,500 mortar attacks at Israeli targets.“Israel At ‘War to the Bitter End,’ Strikes Key Hamas Sites,” Fox News, December 29, 2008, http://www.foxnews.com/story/2008/12/29/israel-at-war-to-bitter-end-strikes-key-hamas-sites. Hamas’s continues to fire rockets into Israel.“Timeline: The Evolution of Hamas,” CNN, December 30, 2008, http://www.cnn.com/2008/WORLD/meast/12/30/hamas.profile/. Hamas breaks a ceasefire with Israel in December 2008. In response, Israel launches Operation Cast Lead, a three-week long military offensive. According to the Palestinian Center for Human Rights, Cast Lead results in 1,417 Palestinian casualties, 926 of them civilians.“Rights group names 1,417 Gaza war dead,” Washington Times, March 19, 2009, http://www.washingtontimes.com/news/2009/mar/19/rights-group-names-1417-gaza-war-dead-1/. The Israel Defense Forces claims the number of Palestinian deaths to be 1,166, with 709 of these being “Hamas terror operatives.”“Operation Cast Lead,” Institute for Middle East Understanding, January 4, 2012, http://imeu.org/article/operation-cast-lead; “Israel/Gaza Operation ‘Cast Lead’: 22 Days of Death and Destruction,” Amnesty International, 2009, 67, http://www.amnesty.org/en/library/asset/MDE15/015/2009/en/8f299083-9a74-4853-860f-0563725e633a/mde150152009en.pdf. Hamas launches more than 750 rockets into Israeli territory before Israel launches a major retaliatory ground operation in November.Matthew Kalman, “Massed Israeli Troops Poised for Invasion of Gaza,” Independent (London), November 15, 2012, http://www.independent.co.uk/news/world/middle-east/massed-israeli-troops-poised-for-invasion-of-gaza-8316615.html. Hamas and Israel engage in a three-month conflict during which Hamas launches more than 2,000 rockets into Israel.Yasmine Saleh and Lin Noueihed, “Israel, Hamas Militants Begin 72-Hour Truce,” Chicago Tribune, August 5, 2014, http://www.chicagotribune.com/news/nationworld/chi-israel-hamas-gaza-truce-20140804-story.html. Jordanian authorities arrest 31 people after receiving intelligence from Israel that they are part of a Brotherhood cell. The suspects are accused of passing weapons and money to suspected terrorists in the West Bank.Jack Moore, “Israel: Muslim Brotherhood cell in Jordan 'smuggling weapons to West Bank Palestinians,’” International Business Times, December 8, 2014, http://www.ibtimes.co.uk/israel-muslim-brotherhood-cell-jordan-smuggling-weapons-west-bank-palestinians-1478561; Roi Kais, “Report: Muslim Brotherhood in Jordan smuggled weapons for attacks in West Bank,” YNet News, December 2, 2014, http://www.ynetnews.com/articles/0,7340,L-4598485,00.html. Egypt’s chief prosecutor, Hisham Barakat, is killed in a car bombing in Cairo. The Egyptian government later accuses Hamas of coordinating the attack with the Muslim Brotherhood.“Muslim Brotherhood conspired with Hamas to kill prosecutor, Egypt claims,” Guardian (London), March 6, 2016, http://www.theguardian.com/world/2016/mar/06/muslim-brotherhood-hamas-prosecutor-egypt-assassinated-hisham-barakat. Hamas and the Al-Aqsa Martyrs’ Brigade carried out several joint terrorist operations during the second intifada, including a March 2004 attack at the port of Ashdod that killed 10 Israelis,“Timeline: The Evolution of Hamas,” CNN, December 30, 2008, http://www.cnn.com/2008/WORLD/meast/12/30/hamas.profile/. and a suicide bombing the following month at Gaza’s Erez Crossing that killed a border guard and wounded three others.Conal Urquhart, “Israeli Missile Attack Kills New Hamas Chief,” Guardian (London), April 18, 2004, http://www.theguardian.com/world/2004/apr/18/israel. The Brigade has also joined Hamas in launching rockets at Israel over the years, most recently during the July 2014 conflict.Elhanan Miller, “Fatah Joins Hamas and Islamic Jihad in Missile Launches,” Times of Israel, July 10, 2014, http://www.timesofisrael.com/moderate-fatah-joins-hamas-and-islamic-jihad-in-missile-launches/. Hamas and Hezbollah have at times cooperated, though the groups have recently split over competing allegiances in the Syrian civil war. Despite tensions between Hamas and Hezbollah over the Syrian civil war, relations between the two groups are reportedly still good, according to a Hezbollah source in 2013.Haytham Mouzahem, “Hezbollah-Hamas Relations ‘Good’ Despite Beirut Bombing Accusations,” Al-Monitor, August 27, 2013, http://www.al-monitor.com/pulseen/originals/2013/08/hezbollah-hamas-relations-beirut-bombing-accusations.html. During the July 2014 conflict between Israel and Hamas, Hamas reportedly invited Hezbollah to join in its rocket campaign against Israel.Ariel Ben Solomon, “Hamas Invites Hezbollah to Join in Fighting against Israel,” Jerusalem Post, July 30, 2014, http://www.jpost.com/Operation-Protective-Edge/Hamas-invites-Hezbollah-to-join-in-fighting-against-Israel-369379. In November 2015, leaders of Hamas and Hezbollah met in Beirut to discuss paramilitary coordination against Israel and ISIS.Khaled Abu Toameh, “Hamas and Hezbollah leaders meet in Beirut to discuss Palestinian ‘intifada,’” Jerusalem Post, November 22, 2015, http://www.jpost.com/Arab-Israeli-Conflict/Hamas-and-Hezbollah-leaders-meet-in-Beirut-to-discuss-Palestinian-Intifada-434948. Israeli Prime Minister Benjamin Netanyahu has declared ISIS and Hamas “branches of the same poisonous tree.” Charlotte Alter, “Netanyahu Tells World Leaders ‘Hamas is ISIS and ISIS is Hamas,’” Time, September 29, 2014, http://time.com/3445394/netanyahu-un-general-assembly-hamas-abbas/. Netanyahu went on to say: “When it comes to their ultimate goals, Hamas is ISIS and ISIS is Hamas. And what they share in common, all militant Islamists share in common.”Charlotte Alter, “Netanyahu Tells World Leaders ‘Hamas is ISIS and ISIS is Hamas,’” Time, September 29, 2014, http://time.com/3445394/netanyahu-un-general-assembly-hamas-abbas/. Leaders of Wilayat Sinai, ISIS’s affiliate in Egypt’s Sinai Peninsula, have allegedly met with Hamas to discuss military coordination.“Hamas Hosts ISIS Commander in Gaza to Expand Terror Cooperation,” Algemeiner, December 4, 2015, http://www.algemeiner.com/2015/12/04/hamas-hosts-isis-commander-in-gaza-to-expand-terror-cooperation/#. Hamas has also reportedly used its fledgling drone program to spy on Egyptian military positions on behalf of Wilayat Sinai,Avi Issacharoff, “An unlikely alliance between Hamas and Islamic State,” Times of Israel, July 12, 2015, http://www.timesofisrael.com/an-unlikely-alliance-between-hamas-and-islamic-state/. and has also allegedly smuggled weapons to the group through underground tunnels. In December 2015, Israeli media reported that Hamas pays Wilayat Sinai tens of thousands of dollars a month to smuggle weapons into Gaza.Alex Fishman, “Hamas is funding Islamic State in Sinai,” YNet News, December 14, 2015, http://www.ynetnews.com/articles/0,7340,L-4739234,00.html. In February 2016, an ISIS fighter wrote to leader Abu Bakr al-Baghdadi to protest the growing ties between Hamas and Wilayat Sinai. The fighter, a Gazan named Abu ‘Abdallah Al-Muhajir, confirmed reports of cross-border weapons smuggling and Hamas’s medical and logistical aid to Wilayat Sinai. Al-Muhajir further accused Wilayat Sinai of acting as a Hamas pawn.“Exclusive: Letter By ISIS Fighter To Abu Bakr Al-Baghdadi Reveals ISIS-Sinai's Ties To Hamas,” MEMRI, March 2, 2016, http://www.memri.org/report/en/0/0/0/0/0/0/9051.htm. Israeli media reported in January 2017 that Wilayat Sinai had opened a media propaganda office in the Gaza Strip. Hamas has also reportedly continued to provide medical aid to wounded ISIS fighters from the Sinai.Avi Issacharoff, “Hamas, Islamic State resume close cooperation despite pressure from Cairo,” Times of Israel, January 15, 2017, http://www.timesofisrael.com/hamas-islamic-state-resume-close-cooperation-despite-pressure-from-cairo/. The Times of Israel reported in February 2017 that “dozens” of top Hamas commanders had defected to Wilayat Sinai in the past three years.Avi Issacharoff, “Elite Hamas commanders defecting to Islamic State,” Times of Israel, February 7, 2017, http://www.timesofisrael.com/elite-hamas-fighters-defecting-to-islamic-state/. Nonetheless, ISIS supporters in the Gaza Strip have promised to be a “thorn in the throat of Hamas” and targeted the group in several bombings throughout 2015.Dia Hadid and Majd Al Waheidi, “ISIS Allies Target Hamas and Engage Gaza Extremists,” New York Times, June 30, 2015, http://www.nytimes.com/2015/07/01/world/isis-allies-target-hamas-and-energize-gaza-extremists.html. In June 2015, ISIS in Syria released a video statement threatening to topple Hamas based on accusations that Hamas is not sufficiently religious. Hamas has at times violently cracked down on ISIS supporters in Gaza.“Islamic State threatens to topple Hamas in Gaza,” Peninsula (Doha), July 1, 2015, http://thepeninsulaqatar.com/news/middle-east/346940/islamic-state-threatens-to-topple-hamas-in-gaza. On June 25, 2006, a group of Palestinian terrorists from multiple groups, including Hamas, crossed the Gaza border into Israel using an underground tunnel and attacked an IDF military outpost, killing two soldiers and taking 19-year-old Corporal Gilad Shalit hostage.Tim Butcher, “Soldier Kidnapped and Two Killed in Gaza Tunnel Attack,” Telegraph (London), June 26, 2006, http://www.telegraph.co.uk/news/worldnews/middleeast/israel/1522370/Soldier-kidnapped-and-two-killed-in-Gaza-tunnel-attack.html. Hamas denied any participation, but it was later revealed that the group—as well as members of Palestinian Islamic Jihad (PIJ)—were involved in the operation.Steven Erlanger, “Tensions Rise After Israeli Is Kidnapped,” New York Times, June 26, 2006, http://www.nytimes.com/2006/06/26/world/middleeast/26cnd-mideast.html; “Q&A: Gilad Shalit Capture,” BBC News, June 24, 2010, http://news.bbc.co.uk/2/hi/middle_east/6238858.stm. Hamas and PIJ announced a formal agreement in 2012 to combine forces in their fight against Israel.Elhanan Miller, “Gaza’s Hamas and Islamic Jihad Formally Join Forces to Fight Israel,” Times of Israel, October 10, 2012, http://www.timesofisrael.com/gazas-hamas-and-islamic-jihad-formally-join-forces-to-fight-israel/. The following year, the two groups announced plans to create a joint command and a new political vision for Gaza.Elhanan Miller, “Hamas and Islamic Jihad to Form Joint Command,” Times of Israel, September 17, 2013, http://www.timesofisrael.com/hamas-and-islamic-jihad-to-form-joint-command/. The U.S. Department of the Treasury designates Hamas as a Specially Designated Terrorist Organization (SDTO), prohibiting financial transactions between U.S. persons or charities and the designated SDTO. Executive Order 12947,” U.S. Department of the Treasury, January 23, 1995 http://www.treasury.gov/resource-center/sanctions/Documents/12947.pdf. The Department of State lists Hamas as a Foreign Terrorist Organization under section 219 of the Immigration and Nationality Act. Foreign Terrorist Organizations,” U.S. Department of State, May 8, 2009 http://www.state.gov/j/ct/rls/other/des/123085.htm. Australia listed Hamas’s armed wing, the Izz al-Din al-Qassam Brigades, as a terrorist organization on November 9, 2003. “Listed terrorist organisations,” Australian National Security, accessed February 23, 2015 http://www.nationalsecurity.gov.au/Listedterroristorganisations/Pages/default.aspx. Egypt banned Hamas on March 4, 2014. Egypt’s Urgent Matters Court designated Hamas’s armed wing a terrorist organization in January 2015 and Hamas as a terrorist group that February. Joshua Berlinger and Ian Lee, “Egyptian court designates Hamas as a terror organization, state media says,” CNN, February 28, 2015 http://www.cnn.com/2015/02/28/middleeast/egypt-hamas-terror-designation/. An appeals court canceled the designation in June 2015. Egyptian court cancels Hamas listing as terrorist organization: sources,” Reuters, June 6, 2015 http://www.reuters.com/article/us-egypt-hamas-idUSKBN0OM0BZ20150606. The European Union designated Hamas’s armed wing, the Izz al-Din al-Qassem Brigades, a terrorist organization on December 27 2001. The European Union froze Hamas’s European assets under Article 2(3) of Regulation (EC) No. 2580/2001 on December 21, 2005. Council Common Position of 27 December 2001 on the application of specific measures to combat terrorism,” Eur-Lex, December 27, 2001 http://eur-lex.europa.eu/legal-content/EN/ALL/?uri=CELEX%3A32001E0931. Israel has designated Hamas as a terrorist organization. Israel At ‘War to the Bitter End,’ Strikes Key Hamas Sites,” Fox News, December 29, 2008 http://www.foxnews.com/story/2008/12/29/israel-at-war-to-bitter-end-strikes-key-hamas-sites. Profile: Hamas Palestinian Movement,” BBC News, last updated July 11, 2014 http://www.bbc.com/news/world-middle-east-13331522. Japan has designated Hamas as a terrorist organization. Israel At ‘War to the Bitter End,’ Strikes Key Hamas Sites,” Fox News, December 29, 2008 http://www.foxnews.com/story/2008/12/29/israel-at-war-to-bitter-end-strikes-key-hamas-sites. Profile: Hamas Palestinian Movement,” BBC News, last updated July 11, 2014 http://www.bbc.com/news/world-middle-east-13331522. 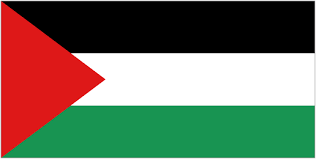 Jordan has banned Hamas. Israel At ‘War to the Bitter End,’ Strikes Key Hamas Sites,” Fox News, December 29, 2008 http://www.foxnews.com/story/2008/12/29/israel-at-war-to-bitter-end-strikes-key-hamas-sites. Profile: Hamas Palestinian Movement,” BBC News, last updated July 11, 2014 http://www.bbc.com/news/world-middle-east-13331522. New Zealand listed the Izz al-Din al-Qassam Brigades as a Terrorist Entity on October 11, 2011 under the Terrorism Suppression Act of 2002. Designated Individuals and Organization,” New Zealand Terrorism Suppression Act 2002, last updated October 9, 2014 http://www.police.govt.nz/advice/personal-community/counterterrorism/designated-entities/lists-associated-with-resolutions-1267-1989-1988. The United Kingdom listed Hamas’s armed wing, the Izz al-Din al-Qassam Brigades, as a Terror Group under the Terrorism Act 2000 in March 2001. James Brokenshire MP, “Proscribed Terror Groups or Organizations,” The Office for Security and Counter-Terrorism in the Home Office, last updated September 15, 2014 https://www.gov.uk/government/publications/proscribed-terror-groups-or-organisations--2. “There shall be no recognition of the legitimacy of the Zionist entity.”“A Document of General Principles & Policies,” Hamas Media Office, accessed May 2, 2017, http://hamas.ps/ar/uploads/documents/06c77206ce934064ab5a901fa8bfef44.pdf. “Resistance and jihad for the liberation of Palestine will remain a legitimate right, a duty and a n honour for all the sons and daughters of our people and our Ummah.”“A Document of General Principles & Policies,” Hamas Media Office, accessed May 2, 2017, http://hamas.ps/ar/uploads/documents/06c77206ce934064ab5a901fa8bfef44.pdf. “Resisting the occupation with all means and methods is a legitimate right guaranteed by divine laws and by international norms and laws. At the heart of these lies armed resistance, which is regarded as the principle choice for protecting the principles and the rights of the Palestinian people.”“A Document of General Principles & Policies,” Hamas Media Office, accessed May 2, 2017, http://hamas.ps/ar/uploads/documents/06c77206ce934064ab5a901fa8bfef44.pdf. “Hamas is not politically isolated. Do not exaggerate the difficulties with Egypt. The Muslim Brotherhood is not finished.”Hazem Balousha, “Will Iran, Hamas Resume Relations?” Al-Monitor, December 30, 2013, http://www.al-monitor.com/pulseen/originals/2013/12/iran-hamas-resume-relations-funding.html. “The Islamic Resistance Movement is one of the links in the chain of the struggle against the Zionist invaders. It goes back to 1939, to the emergence of the martyr Izz al-Din al Kissam and his brethren the fighters, members of Moslem Brotherhood. It goes on to reach out and become one with another chain that includes the struggle of the Palestinians and Moslem Brotherhood in the 1948 war and the Jihad operations of the Moslem Brotherhood in 1968 and after.”“The Covenant of the Islamic Resistance Movement,” Avalon Project, Yale Law School, August 18, 1988, http://avalon.law.yale.edu/20th_century/hamas.asp. “The Islamic Resistance Movement is one of the wings of Moslem Brotherhood in Palestine. Moslem Brotherhood Movement is a universal organization which constitutes the largest Islamic movement in modern times. It is characterised by its deep understanding, accurate comprehension and its complete embrace of all Islamic concepts of all aspects of life, culture, creed, politics, economics, education, society, justice and judgement, the spreading of Islam, education, art, information, science of the occult and conversion to Islam.”“The Covenant of the Islamic Resistance Movement,” Avalon Project, Yale Law School, August 18, 1988, http://avalon.law.yale.edu/20th_century/hamas.asp. “‘Israel will exist and will continue to exist until Islam will obliterate it, just as it obliterated others before it’ -The Martyr, Imam Hassan al-Banna [founder of the Muslim Brotherhood], of blessed memory.”“The Covenant of the Islamic Resistance Movement,” Avalon Project, Yale Law School, August 18, 1988, http://avalon.law.yale.edu/20th_century/hamas.asp.